Softip darts are 19.5g barrel weight (complete weight 21.3g). 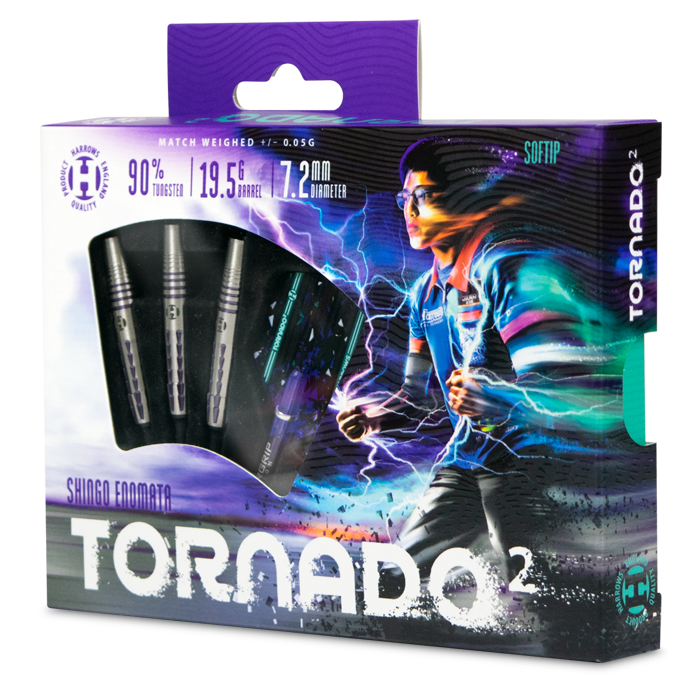 Building on the success of his original Tornado barrel released last year, Shingo has gone a step further in the design of his signature 2018 dart - Tornado 2. The combination of unique spearhead milling and precise rear rings creates two distinctive grip zones on this mid-weighted barrel, perfect for players who demand optimum control. The subtle front step grip is designed to increase consistent finger positioning. 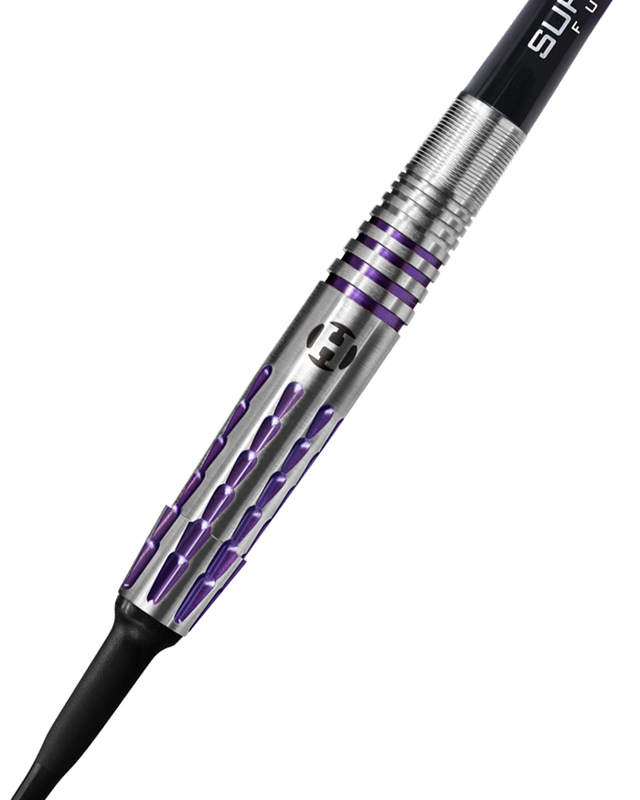 Purple metallic coating, combined with colour co-ordinated flights and shafts complete this visually stunning new dart.